This Afternoon... Scattered showers and thunderstorms. 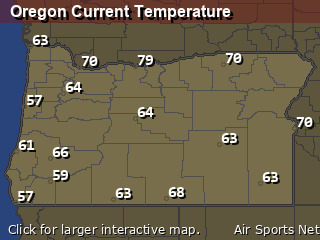 Mostly sunny, with a steady temperature around 59. 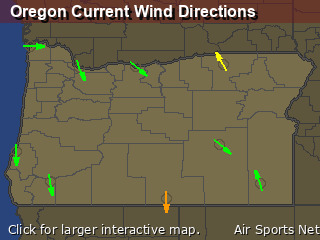 West southwest wind around 16 mph, with gusts as high as 24 mph. Chance of precipitation is 30%. Tonight... Scattered showers and thunderstorms. Increasing clouds, with a low around 47. West southwest wind 6 to 16 mph becoming south southeast after midnight. Winds could gust as high as 24 mph. Chance of precipitation is 50%. Saturday... Rain likely, then showers and possibly a thunderstorm after 11am. High near 55. Light and variable wind becoming west northwest 11 to 16 mph in the afternoon. Winds could gust as high as 24 mph. Chance of precipitation is 90%. New rainfall amounts between a quarter and half of an inch possible. Saturday Night... A 30 percent chance of showers. Mostly cloudy, then gradually becoming mostly clear, with a low around 37. North wind 11 to 14 mph, with gusts as high as 21 mph. Sunday... Sunny, with a high near 61. North wind around 11 mph. Monday... Sunny, with a high near 66. Monday Night... Partly cloudy, with a low around 43. Tuesday... Mostly sunny, with a high near 71. Tuesday Night... Partly cloudy, with a low around 46. Wednesday... Mostly sunny, with a high near 72. Wednesday Night... A slight chance of showers and thunderstorms. Partly cloudy, with a low around 46. Thursday... Mostly sunny, with a high near 69. Thursday Night... A slight chance of showers and thunderstorms. Partly cloudy, with a low around 42. Friday... A slight chance of showers. Mostly sunny, with a high near 62.